Congratulations Justin and Conner! Just married near the Kahala Hotel on Waialae Beach Park. The rings sit upon a mound of pa`akai (blessed Hawaiian sea salt) before they are exchanged near the Kahala Hotel. Ho`oponopono (a healing blessing) near the Kahala Hotel and Resort. A tiny pinch of pa`akai (Hawaiian sea salt) is placed in the mouth for spiritual cleansing after Ho`oponopono. I simply love performing weddings in Hawaii. 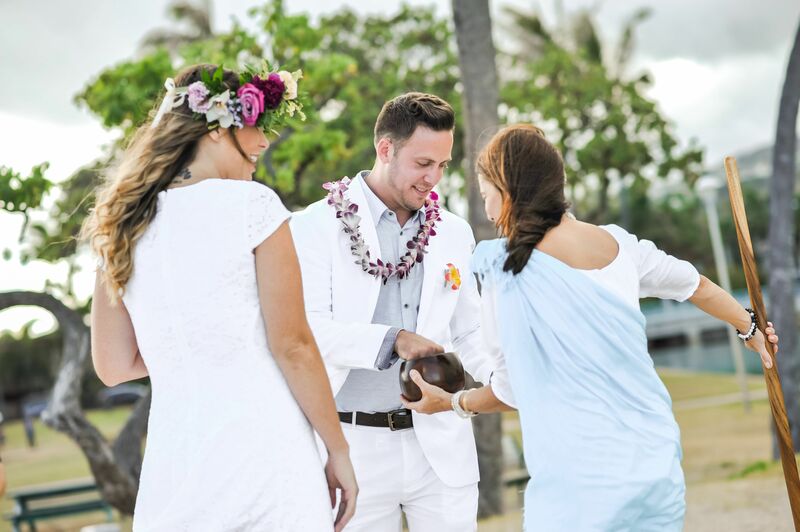 Living in Honolulu, Hawaii allows me to offer Hawaiian wedding ceremonies to people from all around the world. 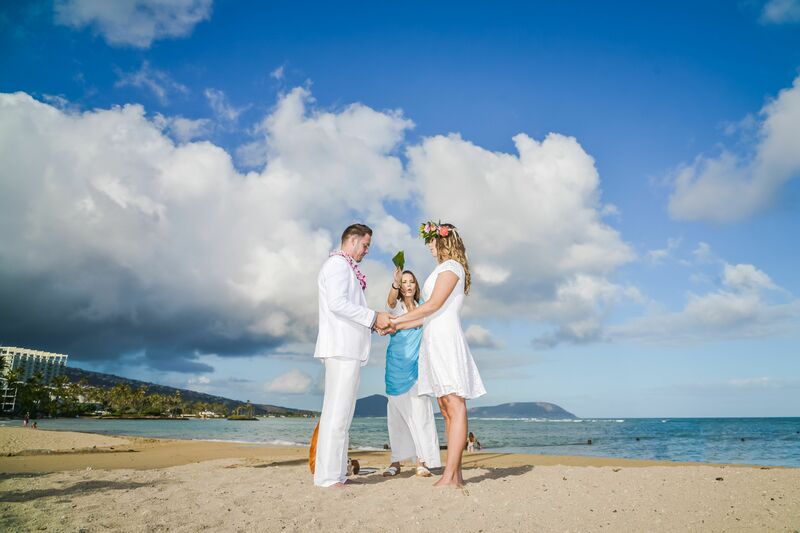 This happy couple was married next to the Kahala Hotel at Waialae Beach Park. Waialae Beach Park has public restrooms, parking and a small pavilion with picnic tables and space to bbq. This location is very family orientated and would be great for a small wedding or just a nice family picnic at the beach. It's a great location too, because it sits directly next to the Kahala Hotel where you can easily walk on the beach to reach the hotel and it's various restaurants. 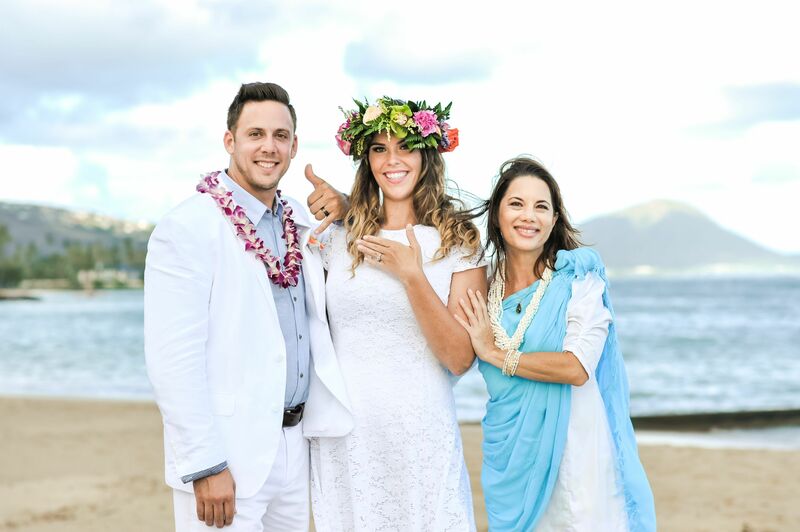 Many of my couples enjoy celebrating after their wedding ceremony at Hoku's or Plumeria's, the two main restaurants at the Kahala Hotel. My beautiful couple was so thrilled to dig their toes in the warm, Hawaiian sand and share their love with one another. They received Ho'oponopono, a Hawaiian blessing to put things in their proper order and to usher in new beginnings. 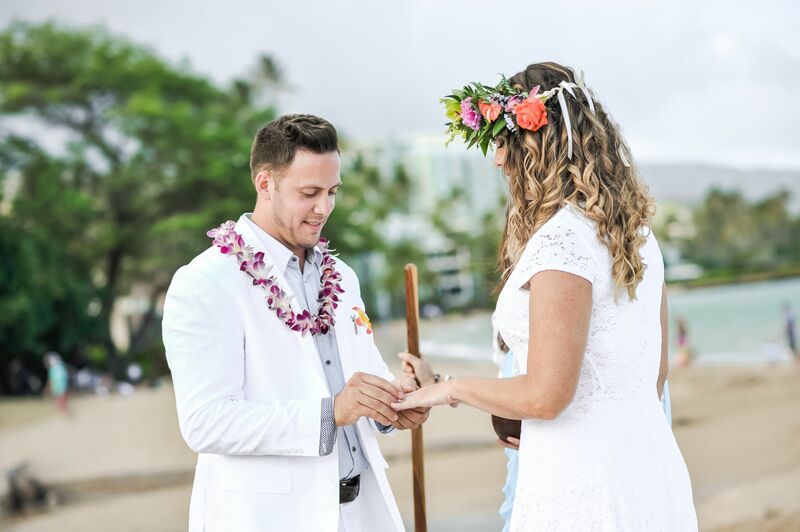 They exchanged flower lei and received a blessing upon their wedding rings. I was so excited to meet them and to share in their love story. 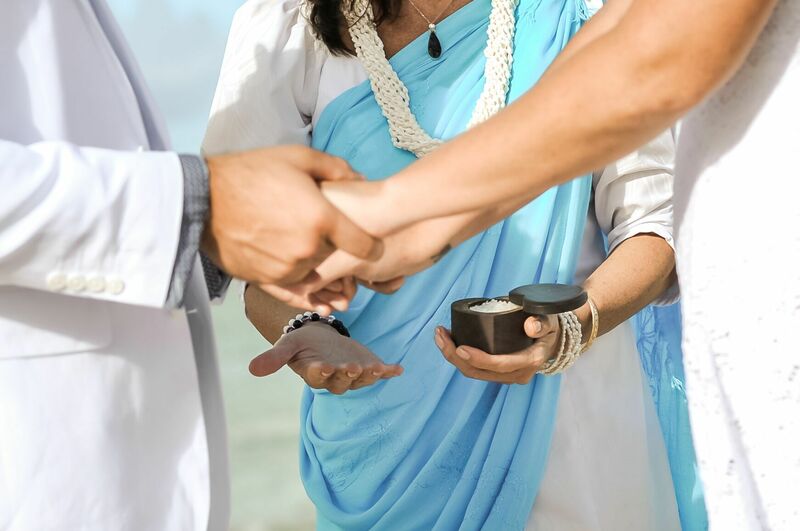 Rings are blessed and exchanged during the wedding on Waialae Beach in Honolulu next to the Kahala Hotel.